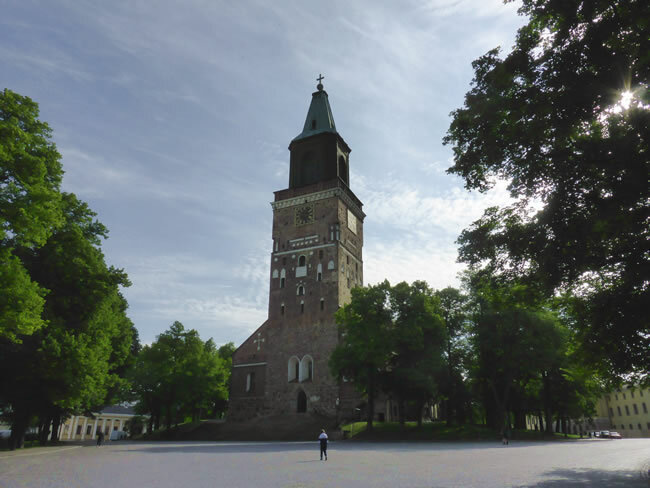 Turku Cathedral is situated in the heart of Turku close to the Old Great Square, a former trade hub by the river Aura. It is an Evangelical Lutheran Church of Finland. The sound of its bells chiming at midday is broadcast on national radio.